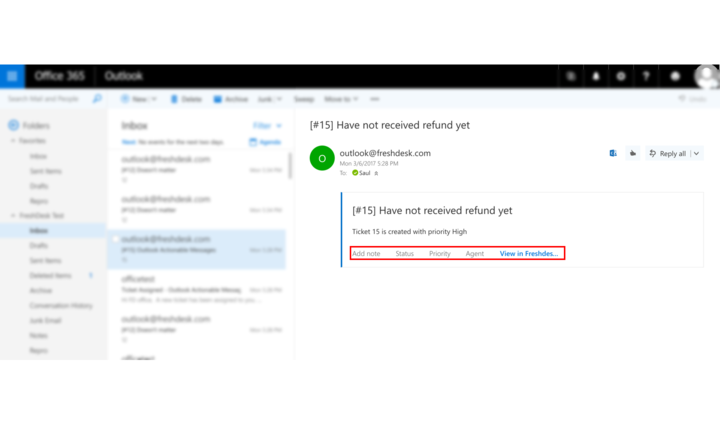 This feature enables you to add public/private note, update ticket information (status, priority & agent information), and open tickets inside the Freshdesk ticketing system right from Outlook. 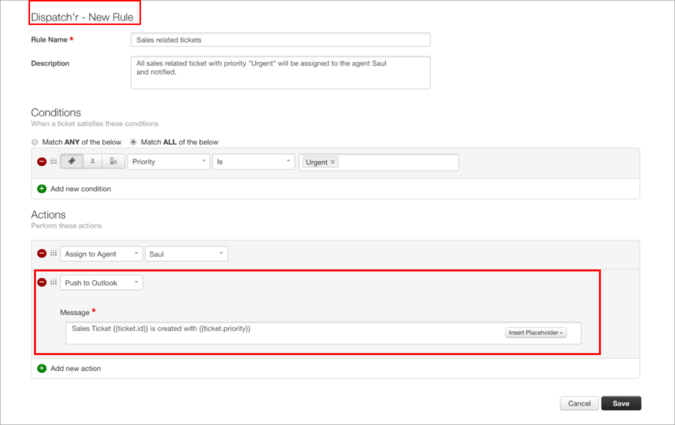 This feature enables you to automatically forward tickets to the corresponding agents Outlook email as per the condition set in the Dispatch’r or Observer rule inside your Freshdesk customer support software. This Microsoft 365 app is a complete intelligent solution combined with Freshdesk. 1. 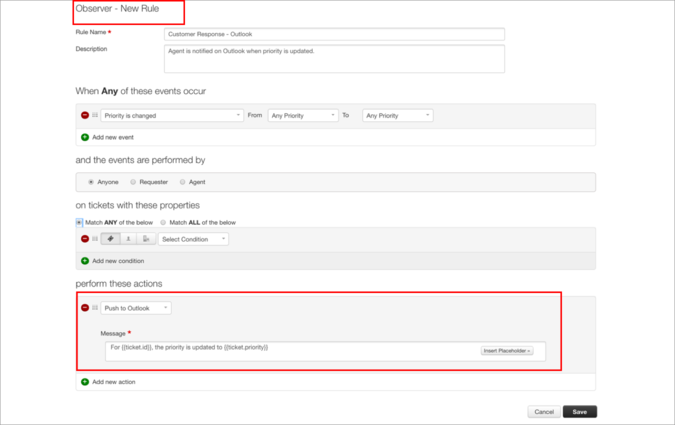 Login to your Freshdesk as Admin. 2. Go to  Admin > Helpdesk Productivity > Apps. 3. Click on "Get More Apps". Search and select "Office 365".